Home › #REonTap › Impact Investors: Reward homebuyers for Social Good or Community Building? 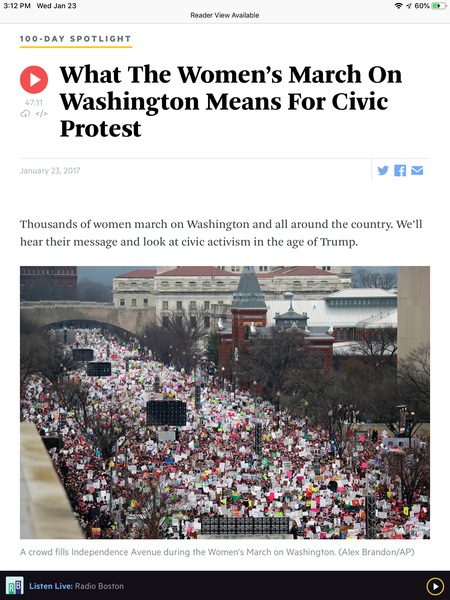 Two years after the Women’s March, why share the Facebook post below — a message sent to a closed group of leading real estate agents across the US? As a daily parade of headlines and talk shows attest, there’s growing recognition that the resistance is winning and the climate is losing. The president may have removed references to climate change within hours of his inauguration but world leaders and others are committed to building a better future. Like doctors who recognize climate change as a public health crisis, real estate agents are morally obligated to respond — to take responsibility for protecting future generations. That’s the role of #FutureFiduciaries. A generation of Millennials are facing unprecedented headwinds; and like MLKing, Real Estate Cafe wants to recognize #WhatAreYouDoingForOthers. That means rewarding student debt-burden homebuyers with Social Good or Community Building commission credits to make it easier to use our fee-for-service, rebate model. Developing a money-saving P2P real estate platform coop. Using Impact Rebates to fund social justice projects of your choice. Crowdfunding intergenerational, intentional communities — CoLiving, CoHousing, etc. As #RE2020 shows, we like to collaborate with innovators, change agents, civic and housing activists who think and dream big. Want to cocreate a better future together? Text 617-661-4046 so we can meet offline. Did anyone from #ICNY, or their current or past clients, participate in the protests in 600+ cities over the weekend? Unrelated topic? Think again. In the financial and legal world, the word “fiduciary” describes the role of the protector; so without claiming the label, millions who took to the street were “Future Fiduciaries.” Where will their collective resistance lead in the future? Listen to the talk show below, and get involved. Here’s an example of one petition you or your clients can sign to protect the future of the planet. If you’re a real estate professional, want to convene a conversation about the role of fiduciaries in the Trump era using the hashtag, #FutureFiduciary? If the masses are being politicized and mobilized, will they transfer their values and expectations into the marketplace and chose to work with real estate professionals who are willing to protect their rights and the planet? Here are some thoughts about protecting real estate consumers in DysTrumpian era, what are yours?